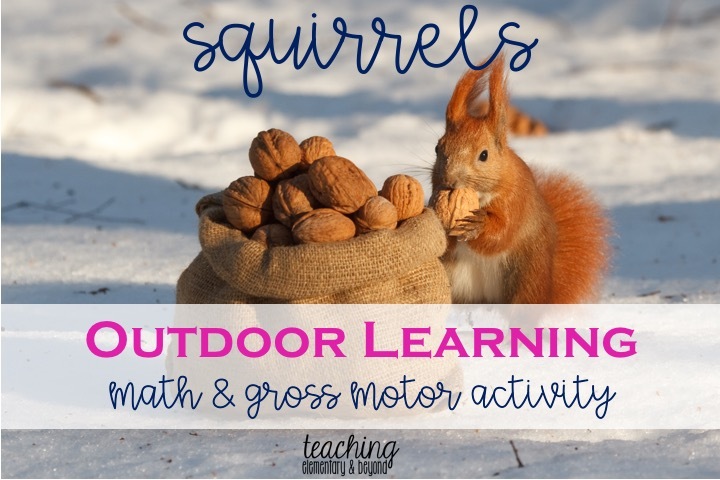 I love to engage children in gross motor activities that incorporate math is through the game squirrels. It is super easy to set up and the kids love it. The best part this game is that it literally never ends! If you students have energy to burn this activity is a great way to burn energy. 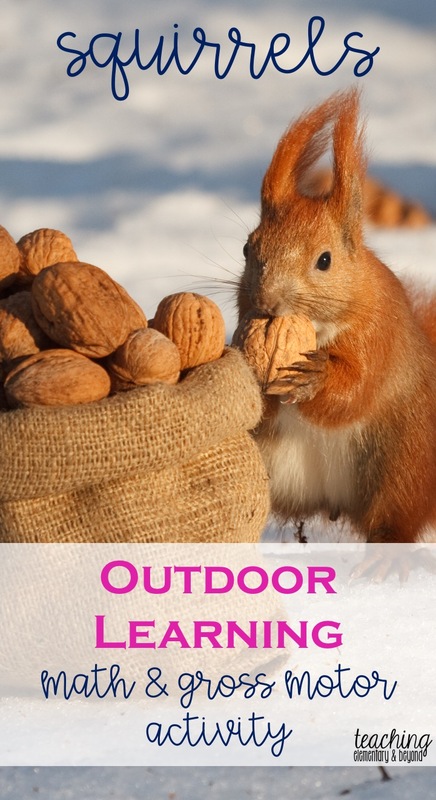 Students pretend to be squirrels who on the hunt to gather food for the winter months. Since winter is just around the corner we need to collect it! They must search far and wide throughout the field for nuts (aka, tennis balls) and bring them back to be stored for the winter (in your bucket). The teacher calls a number and students must find that many to return. No more. No less. Vary numbers based upon ability. How high can kids count? How many balls can they carry at once? When the students return the nuts you instantly toss them back out into the field where there are no children. To prevent chaos, it is nice to have two buckets with two adults throwing the nuts back onto the field. You can also easily assess whether or not students can count! If students do not have enough, send them back for more! If they have too many, they must figure out how to solve their problem to get the correct number of nuts. Playing this game on the field is much better than on the tarmac. The soft ground will help in preventing injuries. Always make sure your students look before they turn around and run into a student coming towards them. You need a large bucket that can easily hold 40-60+ tennis balls that you can easily toss to throw the balls and be able to hold on to the container. 40 to 60+ tennis balls are needed considering the number of students you have in your class. When we play, we often have 60 kids playing. I prefer to have enough for each kid to have several balls at the same time to prevent fights. We ask for donations from our local tennis club. We have found that they are always more than willing to donate to schools in order to recycle old tennis balls!